Rocking a version of the character's iconic Jim Lee-designed ninja costume from the 1990s. Here you go, X-fans. 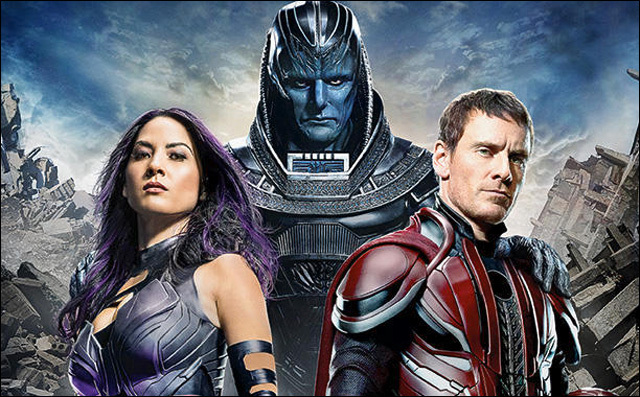 Here is your first official look at Olivia Munn as Psylocke in X-Men: Apocalypse. 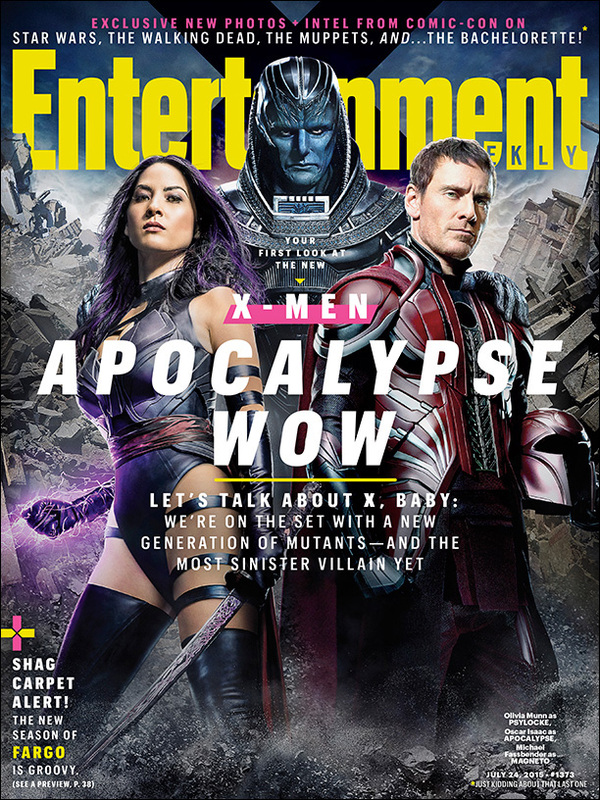 The latest cover of Entertainment Weekly features Psylocke, Magneto and the titular villain Apocalypse. Director Bryan Singer's follow up to X-Men: Days of Future Past is touted as a turning point for the mutant movie series, shifting the focus toward younger versions of classic X-characters, circa Reagan era, and pitting them against the big bad mutant villain Apocalypse, who, unsurprisingly, wants to destroy the world. Psylocke, decked out in a version of her iconic Jim Lee-designed ninja costume from the 1990s, is one of the mutants that Apocalypse recruits as his "Four Horsemen," along with Storm, Angel and Magneto. Fellow fans, what do you guys think of Olivia Munn's look as Psylocke? I kind of dig it. Also, take note of her glowing fist doing the psychic knife thing. Yes! Nerd out. Looking forward to seeing her make use of that. Oscar Isaac as Apocalypse, however, somewhat resembles a Power Rangers villain.